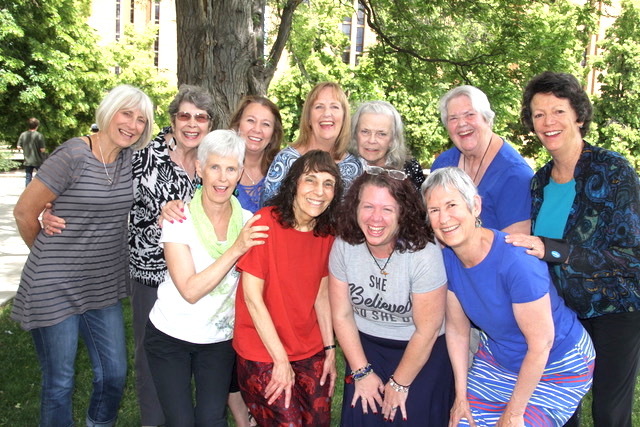 We are a small, passionate group of women who come from across the Denver metropolitan area to sing in and sing out. We draw healing and strength from each other and from the music we love to share. The group was formed as the Littleton (Colorado) Threshold Choir in 2010. In 2013, we became Mile High Threshold Singers to reflect our geographic diversity. We rehearse on the second and fourth Thursday of each month from 6:30 to 8:30 p.m. in southeast Denver. We share leadership responsibilities, with each member providing some necessary task, including directing, administration, and liaisons to the Threshold Choir organization and sing-out locations. We welcome new members and opportunities to sing. Please contact us by email.